Independent real estate agents earn good profits and reap the benefits of flexible schedules. 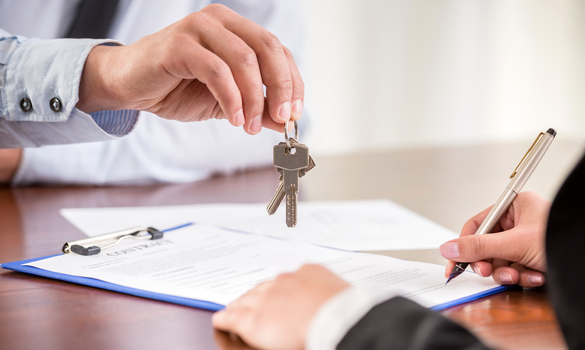 As an entrepreneur, you should consider becoming an independent real estate agent. If you become your own boss in the real estate industry, you can set your own schedule and increase your cash flow on your own terms. More so, you would conduct business without the influences of corporate real estate agencies. While investors should invest in Comox Valley Real Estate to profit, you should consider taking the independent route. Read on to learn how to write an independent real estate agent business plan and control your entrepreneurial future. To begin building your independent real estate agent business plan, focus on local reach. Many entrepreneurs assume that reaching audiences on a global level will expedite business growth. While this is sometimes true, independent real estate agents succeed by targeting local home seekers. After all, independent agents compete with real estate franchises. Such franchises typically put their energy into opening locations across the globe. Thus, they do not pay as much attention to the potential clients around them. Take advantage of this by stepping in and reaching out to local home buyers. Boost your SEO value to reach prospects on the internet. Then, you will be able to write a successful business plan. Another essential factor of an independent real estate agent business plan is developing a prospect list. You will not be able to make any sales without prospective clients to sell to. Put your energy into building a quality list full of individuals who are likely to increase your profits. If you put your time and energy into simply creating a long list, you will waste valuable hours adding people who will not use your services to purchase homes. Start building your prospect list by talking to your friends and family. Ask if they know anyone looking to purchase a home or rent an apartment. Use your relationships to gain referrals and develop a good prospect list. In doing so, you increase your chances of reaching your independent real estate agent goals. After you create a prospect list, establish a budget to follow during your independent real estate agent ventures. To do so, first write down your main goals. Keep your target generation, office costs and prices of necessary tools in mind when doing so. Calculate how much money you need to accomplish each goal. If you find that the total is adding up quickly, consider putting a few of your goals off until you start making a profit. Once you establish a realistic monetary number, look into the best ways to receive funding. If you follow these steps, you will be able to set yourself a budget that will lead you to independent real estate agent success. Include marketing strategies in your independent real estate agent business plan as well. In order to begin coming up with quality tactics, you need to decide on your target audience. As you know, you should focus on local home seekers. However, there are numerous kinds of local potential clients. Think of your prospects in terms of generation. After all, generation directly impacts marketing. If you target millennials, you will not find success by placing ads in newspapers. They prefer to gain insight into companies through virtual means. Choose your target audience based on generation to build effective marketing strategies for your independent real estate agent ventures. Consider using marketing webinars as one of your strategies and generate new leads. Lastly, create an action plan and include it in your independent real estate agent business plan. This step is critical because it puts all of your ideas into real life steps. You can come up with brilliant advertising techniques, but if you do not actively test them, you will not reap their benefits. The same goes for every department within your plan. If you establish a budget, but do not stick to it, you will not succeed financially. By creating an action plan, you set yourself up for following your own guidelines. To achieve you startup mile stones as an independent real estate agent, build and follow an action plan. To pursue a profitable career in the real estate industry, become an independent real estate agent. In order to succeed, begin writing a business plan with a clear focus on local reach. Then, start developing a prospect list by reaching out to your friends and family for referrals. Establish a budget based on your primary goals and sources of funding. Choose marketing strategies based on the generation of your local target audience. Finally, create an action plan so you can easily stick to your ideas. Follow these steps to generate a successful indpendent reale state agent business plan.